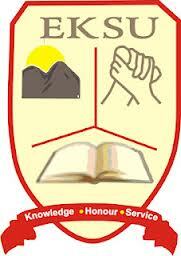 The management of the Ekiti State University (EKSU) has released the list of candidates offered provisional admission into its Sandwich programme for the 2019 contact session. How to Check EKSU Sandwich Admission List. 1. Go to EKSU sandwich degree admission status checking portal at https://eksueportal.eksu.edu.ng/site/admission-status. 3. Finally, click on ‘Search Button’ to access your EKSU sandwich degree admission status. Congratulations to all the candidates that made it to EKSU Sandwich admission list for the 2019 contact session.